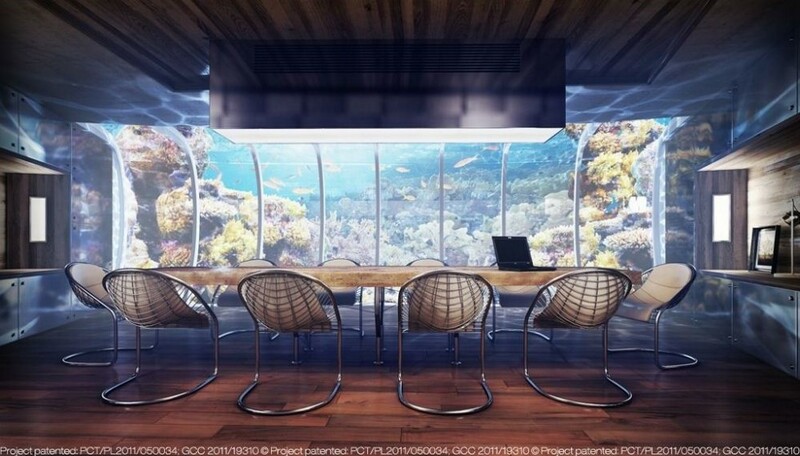 Zen Resort at Kuredhivaru Maldives, once completed, will have 22 rooms underwater. A disc shaped underwater village will sit 6 metres below the surface of the sea. All rooms come with sea view, right from your bed. 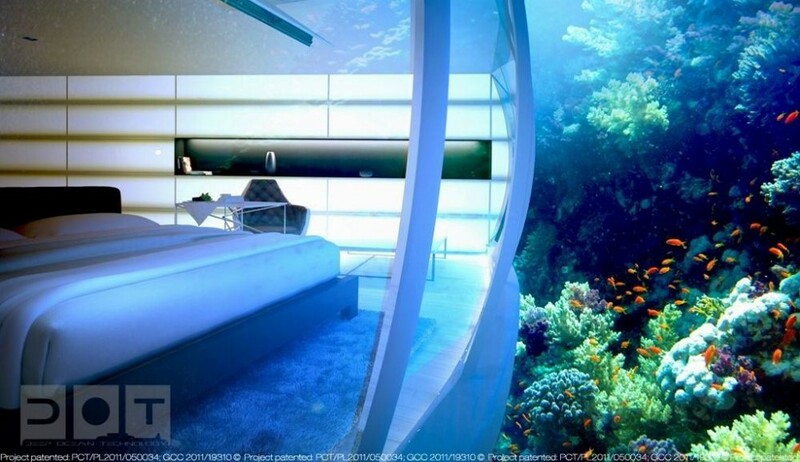 For people who are dreaming of being woken up in the morning by friendly sea creatures the reality is not too far. 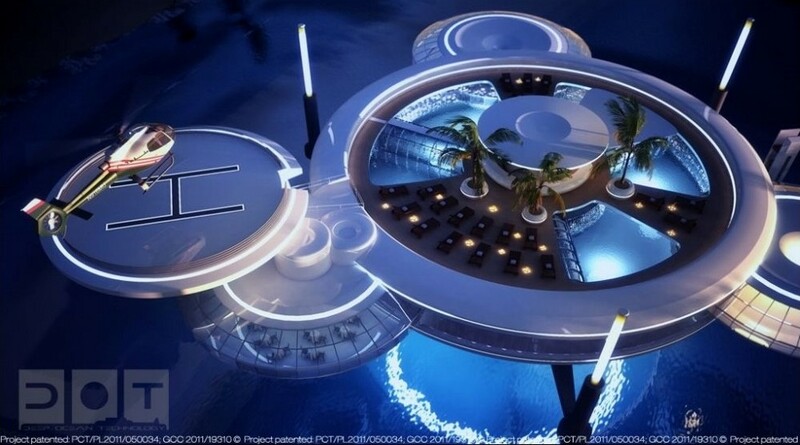 The resort is currently under development, by a Polish company called Deep Ocean Technologies. In the center of the disc there is a lift and stairs to take you up. Once reached above surface its another disc with all the supporting facilities and services to give you an ultra-luxury holiday experience in the Maldives. If you like to enjoy an island experience, Kuredhivaru is surrounded by white soft beaches and gin-clear waters, its just few minutes to the island. Maldives is home to the world's first underwater spa, at Huvafen Fushi, and underwater restaurant at Conrad Maldives Rangali Island. World's largest tourist submarine is also operated in the Maldives. 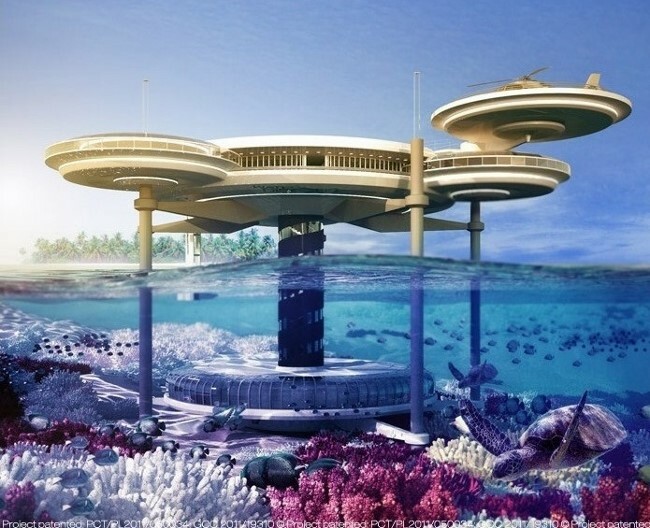 The underwater living technology is already tested and proven safe, right in the Maldives.